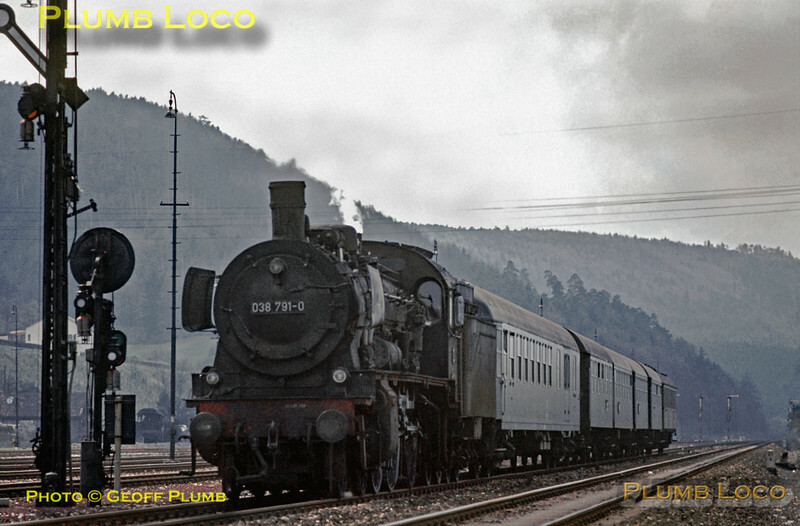 Prussian P8 4-6-0 No. 038 791-0 is passing the yard and former loco depot (where a dumped classmate can just be seen) as it approaches Horb station at around 12:30 with a stopping passenger train from Rottweil to Böblingen on Monday 4th May 1970. Slide No. 4831.